The Woodstock Film Festival presents: Bad Black - Upstate Films, Ltd. 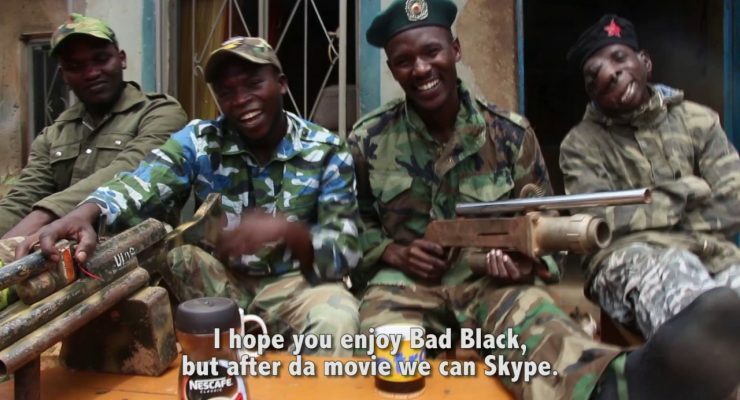 Welcome to Wakaliwood, Uganda: home of “DA BEST OF DA BEST MOVIES!” and the vanguards of DIY commando cinema. Under the guidance of writer/producer/director Nabwana Isaac Godfrey Geoffrey (IGG) and with producer/star Alan Ssali Hofmanis, this crack crew of self-taught filmmakers and martial arts aficionados produce dozens of gonzo action films in the Kampala ghetto with budgets that rarely exceed $200 USD. Unrated / 1 hr 8 mins.